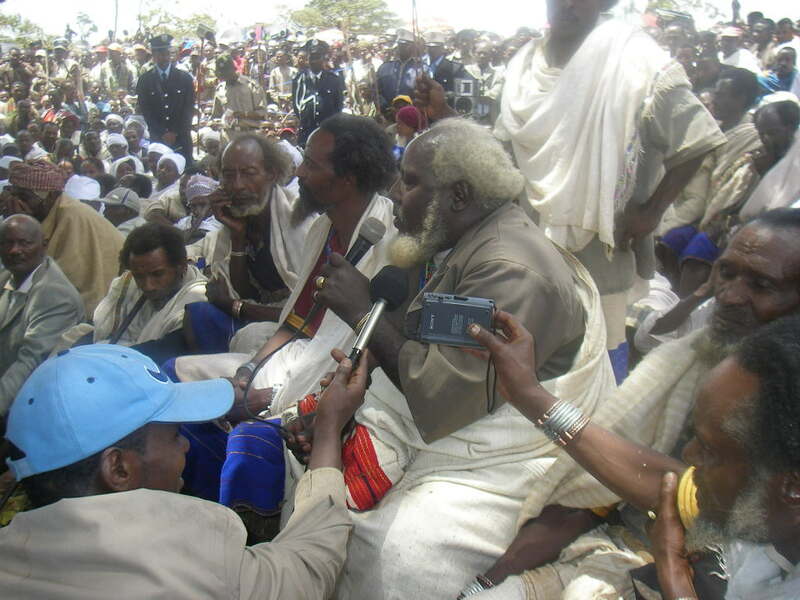 Following the invitation of the Gujii Oromo leaders (Abbaa Gadaas) Ahead sent Elfneh to represente the organisation at the Gumii Duddaa (the Duddaa Assembly) from 30 Sept – 8 October at a location near Bule Hora town. The assembly was attended by many thousands of people from Gujii Zone and other regions of Ethiopia. The representatives of other nations and nationalities and delegates from the Oromia Regional State were present. 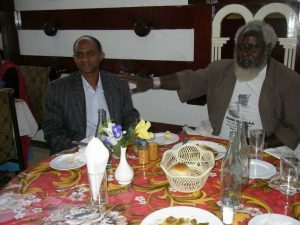 The Gujii Oromo Abbaa Gadaa, Agaa Xenxannoo, presented a comprehensive report on the achievements of his Gadaa leadership. Abbaa Seeraa (the attorny General) and other hayyuus (Gadaa officials) responded to the report and forwarded suggestions on the areas that the Gadaa elects need to concentrate on over the coming eight years in office. These areas include education, specially girls education, combating HIV/AIDs and poverty reduction. 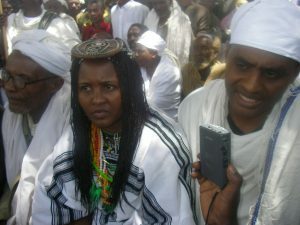 Elfneh was given opportunities to deliver speeches at the ceremonies and was interviewed by four radio journalists and an Ethiopian TV reporter. Elfneh’s speeches and interviews focused on the role that the Gadaa system can play in socioeconomic and cultural transformation and Ahead’s plans to contribute to development efforts in the region. The participants of the ceremony appreciated Ahead participation by giving a standing ovation to Elfneh. Ahead co-sponsored the event.